The Xclusive Weeks featured destination this week is funky Boulder, Colorado. Keep reading for a summary of this mountainous vacation destination, as well as instructions on how to get access to last-minute travel deals through Xclusive Weeks. Natural beauty encompasses you in Boulder. There is an average of more than 300 days of sun per year in this city nestled in the foothills near Denver, where the rolling plains meet the Rocky Mountains. 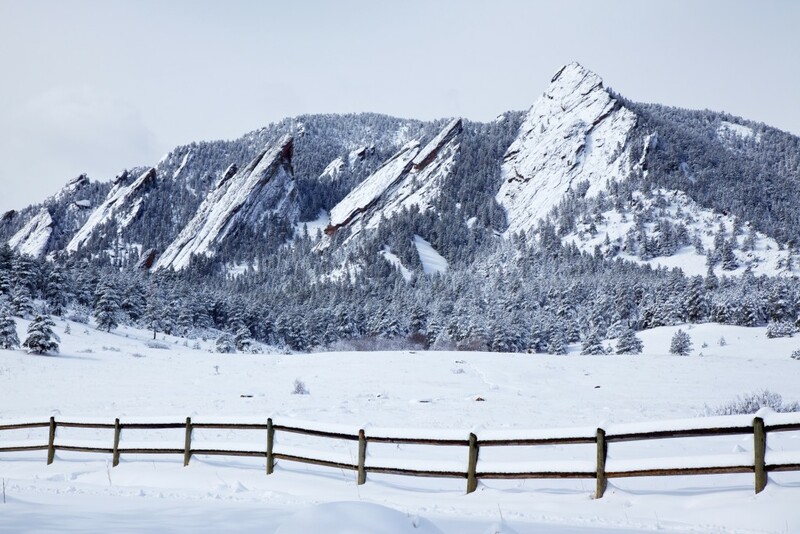 Stay in town and view the stunning flatirons, an iconic mountain with five unique flat peaks. Visit Pearl Street, Boulder’s brick-paved heart and soul and a central gathering place of shopping and dining. The historic Boulder Theater has been a stage for music and film since 1906, and Celestial Seasonings, based in Boulder, is the largest tea manufacturer in North America. Banjo Billy’s Bus Tour is a can’t miss tour of ghost stories, legend and lore of Boulder. And of course there’s the skiing, with peaks less than two hours away delivering mountains of powder this time of year. Do you want to visit Boulder or one of the many other Xclusive Weeks amazing vacation destinations? Simply call RTX at 888-988-4RTX today and talk to a representative who will give you accommodation options. Want to find out more about Xclusive Weeks? Click here!